Stuttgart. Since the construction of the first sportscar to bear the Porsche name – the Type 356 from 1948 – Dr. Ing. h.c. F. Porsche AG has been regarded as the world’s leading sportscar manufacturer. Yet the company’s history dates back to a much earlier period: In 1898, Ferdinand Porsche presented the “Egger-Lohner electric vehicle, C.2 Phaeton model” (known as the “P1” for short) – the world’s first Porsche design. Porsche engraved the code “P1” (standing for Porsche, number 1) onto all of the key components. 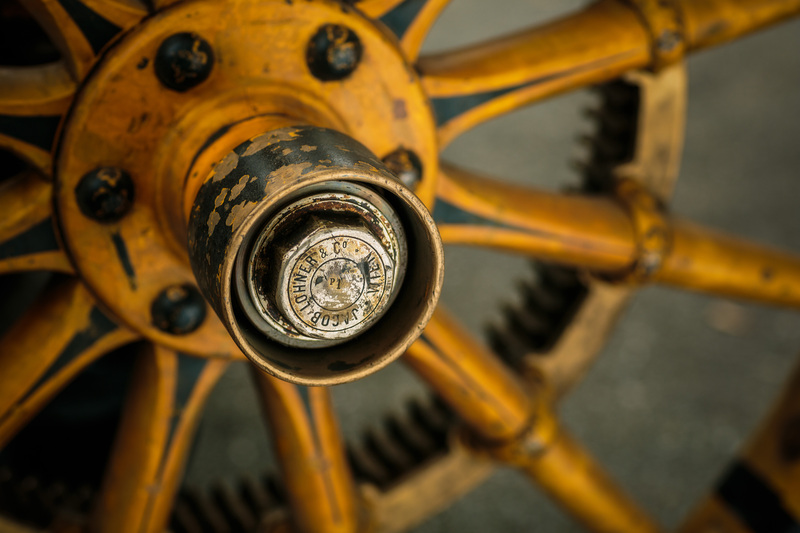 After 116 years, the original and unrestored vehicle has been recovered and is set to enrich the Porsche Museum’s collection as a technical and historical worldwide sensation. Five years since it opened in January 2009, the addition of this design sees the Porsche Museum reorient its permanent exhibition. Alongside a restructuring of the layout for the area dedicated to product and motorsport history, the “P1” now forms a centrepiece used to introduce visitors to the first part of the exhibition – the “prologue”. The highly compact electric drive, weighing just 130 kg, offered an output of 3 hp. The innovative vehicle concept of the “P1” will bridge the gap between the past and present-day developments such as the Porsche 918 Spyder. As a technological benchmark, the 918 Spyder follows a long tradition that first started 116 years ago with the “P1”. The draft of “Egger-Lohner electric vehicle C.2 Phaeton”. 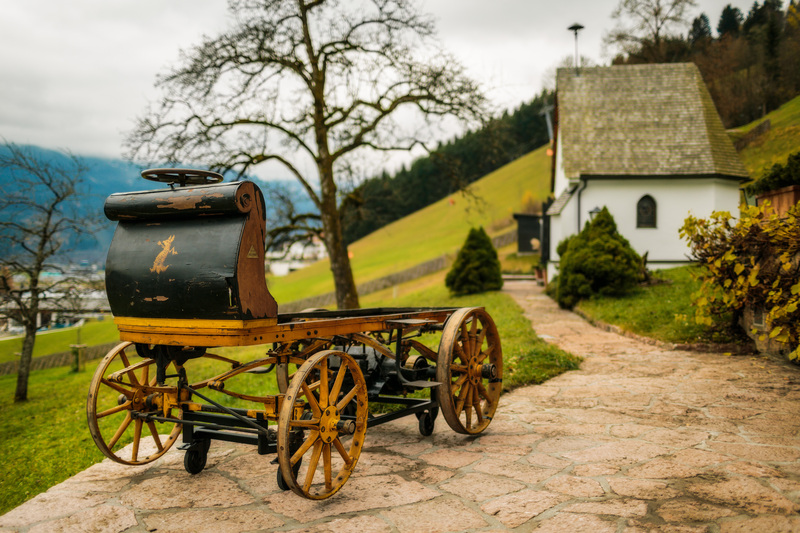 The “P1” – designed and built by Ferdinand Porsche – was one of the first vehicles registered in Austria, and took to the streets of Vienna on June 26, 1898. In 1898, Ferdinand Porsche presented the “P1”. Porsche engraved the code “P1” (standing for Porsche, number 1) onto all of the key components, thus giving the electric vehicle its unofficial name. The sheer volume of ideas realised within this vehicle remains remarkable even today. The highly compact electric drive, weighing just 130 kg, offered an output of 3 hp. For short periods, up to 5 hp could be achieved in overloading mode, allowing the P1 to reach up to 35 km/h. 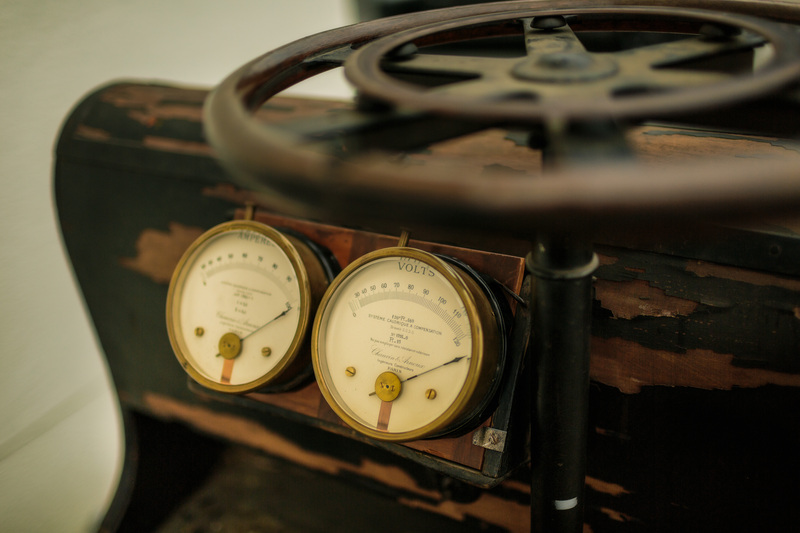 When driven in this manner, the vehicle speed was regulated via a 12-speed controller. The overall range of the vehicle could span up to 80 kilometres, a considerable feat for a vehicle of that period. 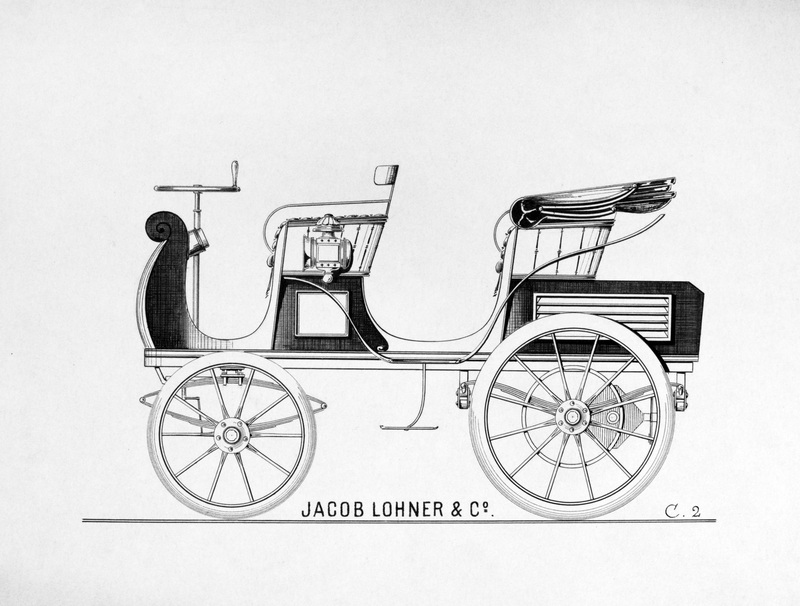 A further innovation was the Lohner alternating vehicle body, which allowed the vehicle to be used in both summer and winter. The overall range of the vehicle could span up to 80 kilometres. The first practical test awaited the “P1” in September 1899 at the international motor vehicle exhibition in the German capital of Berlin. 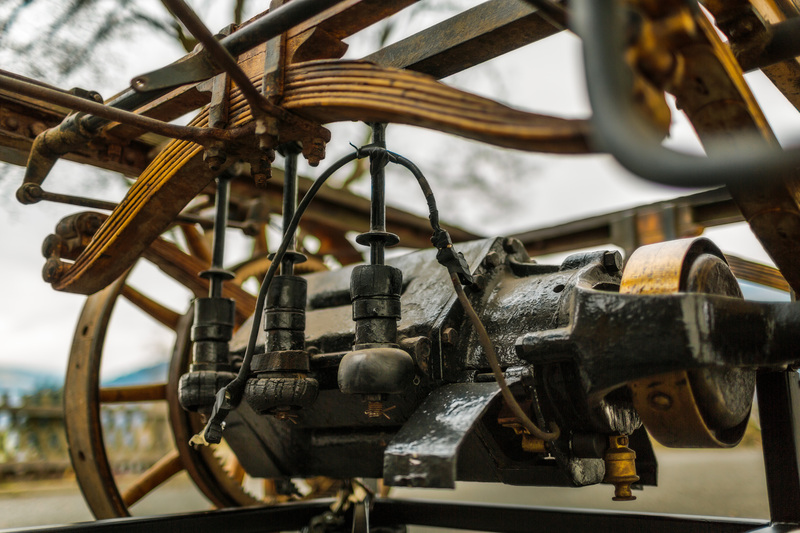 Even as early as 1899, the competition to produce the best drive systems was already fierce. A race for electric vehicles over a distance of 40 km was announced in Berlin for September 28 to test the performance of the vehicles, with a prize to be awarded to the winner. The route demanded a great amount of skill from the participants, who had to tackle challenges such as gradients. With three passengers on board, Ferdinand Porsche steered his “P1” across the finish line 18 minutes ahead of the next competitor. More than half the participants failed to reach the finish line due to technical difficulties. 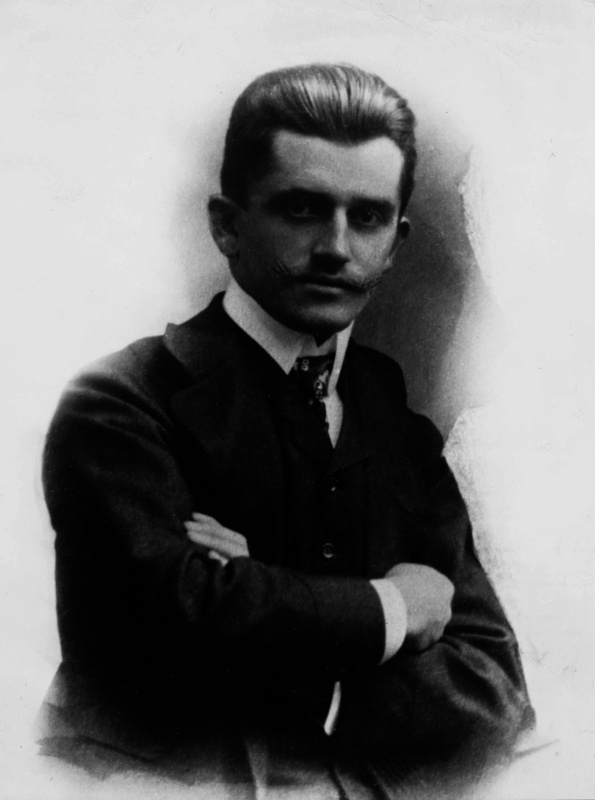 Ferdinand Porsche also came out on top in the efficiency test, as his “P1” recorded the lowest energy consumption in urban traffic. On Friday, January 31, 2014, Dr. Wolfgang Porsche, Chairman of the Supervisory Board of Dr. Ing. h.c. F. Porsche AG, Stuttgart, and Matthias Müller, President and CEO of Porsche AG, will unveil the “P1” before an audience of invited guests. The following weekend, on February 1 and 2, the “P1” can be viewed free of charge as part of the celebrations to mark the fifth anniversary of the Porsche Museum. 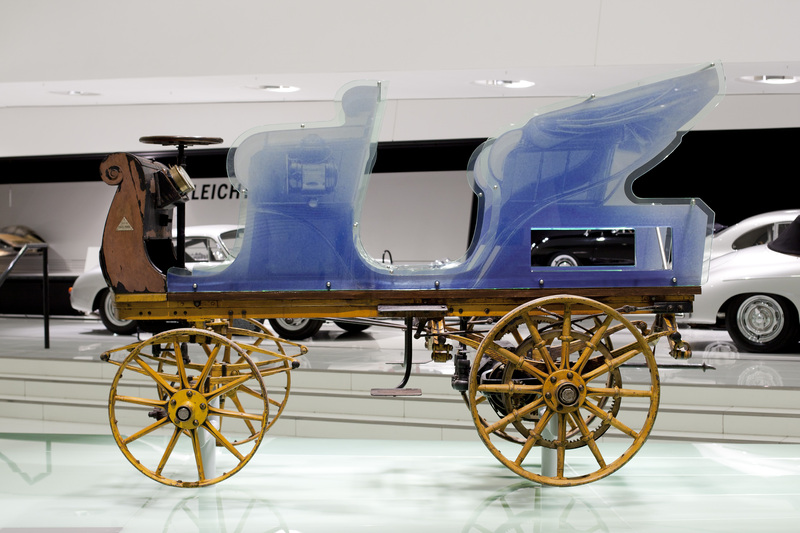 On February 1st, 2014 for the very first time on display at the Porsche Museum: The first design of Ferdinand Porsche from 1898. The museum is open Tuesday to Sunday, 9:00 to 18:00. For more information, please visit http://www.porsche.com/museum.